China's rural health insurance scheme often favours wealthier patients by covering inpatient but not outpatient services, a new report has concluded. A review of almost 10,000 people covered by the New Rural Cooperative Medical Schemes (NRCMS) found that health insurance was more likely to benefit the poor if used to provide insurance that covers both outpatient and inpatient services rather than just inpatient services. The analysis found that in areas where medical insurance cover was comprehensive and covered both outpatient and inpatient services rather than inpatient services only, there was significantly greater use of village-level and township-level outpatient services. These services were used much more by poorer rural residents, whereas wealthier rural residents tended to use county-level inpatients services, the analysis found. 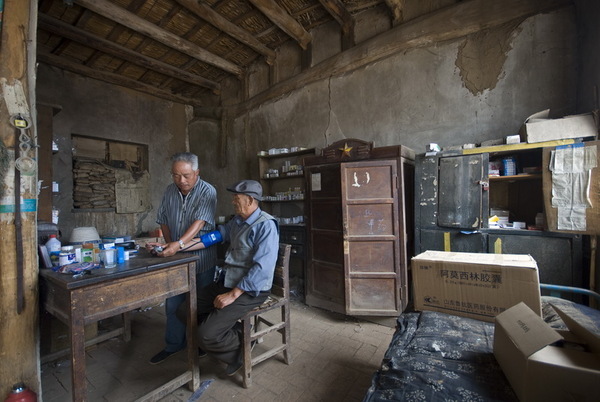 According to the researchers, poverty due to illness has become a substantial social problem in rural China since the collapse of the rural Cooperative Medical System in the early 1980s. However, health insurance coverage for outpatient services at the village and township levels increased the access to outpatient services among people with lower incomes. In contrast, the increased use of the county-level outpatient services among the people with higher incomes suggests that the policy effect at the county-level was more "pro-rich" than pro-poor. "Our findings suggest that health insurance that only covers inpatient services may result in reductions in outpatient utilisation, particularly at the village and township levels and among people with lower income," the report authors say.